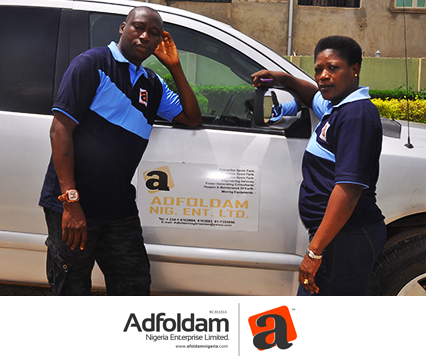 Adfoldam is an indigenous corporate business organization! we undertake maintenance & repair of Perkins, Cummins & Caterpillar products and power generating consultant to all level of government parastatals and corporate organization with high precision. Established in the year 2001 and registered with corporate affairs commission of Nigeria in Abuja Swith registration number RC. 911513 and since then has been performing tremendously in the field of engineering. The objective of the company is to set a good pace in engineering field and to render quality service to our numerous customers. The director of this company had a vast experience, having worked with a multinational Caterpillar company in Nigeria. We leverage our heritage of good corporate citizenship, caring for our employees and sustaining position partnership with our clients while maintaining high ethnical standard in corporate behavior. We assure good corporate quality and professional services in all cadres of repair or preventive maintenance executed by us. Our prompt response time to client's distress calls whenever has no equal. We render Superior Quality Services at all times. Our charges and Spare Parts Prices are more affordable and reasonable. We import Cats Products such as Generators, Lift Trucks, Earth Moving Equipments and Genuine Spare Parts from our Parent Company in the UK. Adfoldam is an indigenous corporate business organization to undertake maintenance & repair of Perkins, Cummins & Caterpillar products and power generating consultant to all level of government parastatals and corporate organization with high precision.